"Summer Capital of the Philippines"
Baguio City is home to many tourist spots and is a weekend getaway of those living in Metro Manila. Baguio City remains a prime tourist destination area in North Luzon because of its cool climate, fresh, green and peaceful environment unlike other tourist destinations in the Philippines. This makes it a favorite destination especially for those who would like to relax and stay away from the excessive heat of the lowlands and also a favorite venue of seminars and conferences. 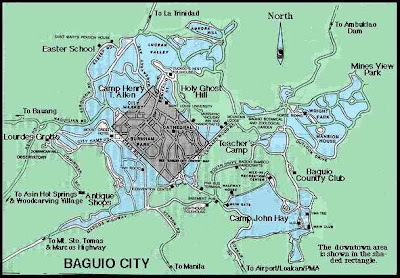 Baguio is the midway to the wonders of Northern Luzon. 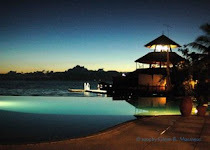 The calm beaches of La Union; the fabled Hundred Islands of Pangasinan; the ancient churches, Spanish influenced houses, historical and cultural relics of Ilocos Sur and Ilocos Norte and is also the gateway to the Cordilleras where you could find the world famous Banaue Rice Terraces in Ifugao; the Kabayan mummy caves of Benguet; and the distinct culture and colorful traditions of the tribes of Benguet, Mountain Province, Ifugao, Kalinga, Apayao and Abra. The name Baguio conjures, for both the international and domestic traveler, a highland retreat in the Grand Cordillera in Northern Luzon, with pine trees, crisp cold breezes and low luxuriant knolls and hillocks. Through the numerous decades Baguio has morphed from what was once a grassy marshland into one of the cleanest and greenest, most highly developed cities in the country. 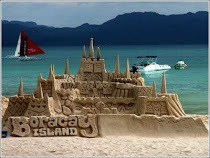 It has made its mark as an opening tourist destination in the Northern part of the Philippines with its cool climate, foggy hills, panoramic views and lovely flowers. Being the ideal union zone of neighboring highland places, Baguio is the melting pot of different peoples and cultures and has enhanced its ability to provide a center for education for its neighbors. Its rich culture and countless resources have attracted numerous investments and business opportunities to the city. Baguio City, the Summer Capital of the Philippines promises a harbor to anyone who seeks its comfort where you could leave all your cares behind. With its numerous tourist attractions and panoramic scenes and refreshing pine scented fresh air it seeks to provide a relief to any traveler, a hideaway to the romantics and breather to the weariest soul. Encapsulate this one of a kind feeling as you look around through the stunning and exciting scenes of the Summer Capital of the Philippines. 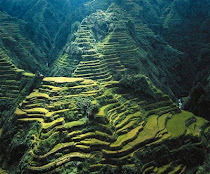 It is also called the Igorot village, which used to feature native huts typical of Cordillera architecture. This village captures the ethnic spirit and cultural legacy of the Igorot dweller. The garden is also a site of cultural presentations and other tribal meetings. 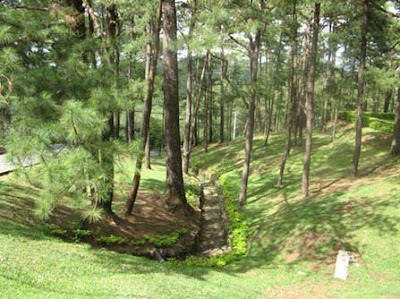 It is the oldest of all Baguio parks. One can unwind from the tension of the day-to-day bustle by biking, skating or simply reflecting on the day's experiences amid a soothing backdrop of colorful flowers. It is wooded and is great place to have picnics and concerts. There are tennis and basketball courts, a football field, athletic oval and an orchidarium. It is still the extraordinary beautiful base, which the American forces turned over last July 1, 1991 to the Philippine government. It is now open to the public. Its excellent cottages, golf courses, bowling lanes, dining places and natural ambience are all preserved and maintained. Appropriately named for its breathtaking views of mountain ranges and Baguio's "mineral bowl" where gold, silver and other ores were once quarried. There are now numerous souvenir shops around the park offering such items as woodcarvings, woven cloth, ashtrays, shell products and other curio items. It is sometimes mistakenly called "Ride Park" by some who identify this pine tree park reserve for its kiddy horse rides. A long stairway leads to the "Pool of the Pines", a 100 meter long pool of water lined on both sides by the famous Baguio towering pine. One of the familiar landmarks in Baguio. The structure with its twin spires and one hundred steps sits on top of a small hill in the heart of the city, offering churchgoers and visitors a chance to get a bird's eye view of the entire commercial hub. It was opened to the public last November 25, 1990 during the Christ the King celebration. This cluster of temples is located on the border of Baguio City and Trinidad Valley. Its exotic oriental architecture features pagoda roofs, an ornate gateway, dragon ornaments and Buddha guarded windows that gaze from atop a hill. The Bell Temple priest practices a mixture of Buddhism, Taoism, Confucianism and Christianity. One may even try having his fortune told. Located 16 kilometers northwest of Baguio. 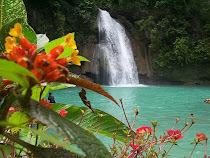 The resort's main feature is a swimming pool surrounded by thermal springs, has vegetation and several hanging bridges. It is an ideal respite for travelers. A trek up to the Mount Sto. Tomas is a hikers' delight. 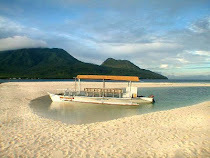 The peak is 7,5000 feet high and commands a majestic view of mountain, sea and valley. The mountain can be reached by foot or by vehicle. Kennon Road is the shortest and the most scenic highway linking Baguio and the lowlands. This was named after Col. Lyman W. Kennon who was its final builder. The industrious Cordilleras and foreign workers assisted him. The road was substantially finished in 1903. The imposing and majestic Baguio Mansion House has housed a long list of Filipino presidents and American governor-generals. It has an elegantly structured building and guesthouse. Its gate is patterned after that of London's Buckingham Palace. The Philippine Military Academy is the Philippine's premier military institution. True to its mission to "instruct, train, and develop the cadets so that they shall possess the character, the broad and basic military skills, and the education essential to the pursuit of a progressive military career", the PMA, as it is more popularly known, has honed the best military officers in our country today. It has complete training and educational facilities to mold the future officers of the Armed Forces of the Philippines. Along the way to Asin, about 5 kms from the city, is an Ifugao wood carving village, which sells beautiful carved curio items at very low prices. A handicraft shop specializing in silver jewelry and other filigree products. Some of the craftsmen are only high school students. This shop is in the center of the city and was established in 1916. It takes an average of six hours to travel the 250-km distance between Manila and Baguio by way of Kennon Road. It is about fifteen minutes longer through the Marcos Highway and could take three more hours when going through Naguilian Road. Kennon Road is occasionally blocked by landslides during the rainy season and the same problem occurs on the other two access roads. The route to Baguio through Kennon Road is as attractive as it is dangerous. There is another access to Baguio from Aritao in the province of Nueva Vizcaya but this is less traveled, the road is not well maintained, and public transportation through this route is not as regular. Another road, Halsema Road which is also known as "Mountain Trail", leads north through the mountainous portion of the Cordillera Autonomous Region. It starts at the northern border of Baguio, in the Municipality of Trinidad (Trinidad Valley). There are several bus lines linking Baguio with Manila and Central Luzon, and provinces such as Pangasinan, La Union, and those in the Ilocos region. Most transportation companies also offer express and air-conditioned buses at a much higher fare. Bus services that works for Baguio includes Philippine Rabbit, Dangwa Tranco, Dagupan Bus, Victory Liner, Partas, Genesis, Saulog Transit, and Greenland. Loakan Airport in Baguio is about 20 minutes by car south of the city. Because of the length of the runway, commercial jet aircraft are not able to use the airport. The airport is only used by propeller-driven aircraft. Currently, Asian Spirit flies daily to and from Manila, a 50 minute flight. Flights to Baguio are scheduled only in the morning, as visibility approaches zero in afternoons when fog starts to form.